Heat oil and fry the above mentioned ingredients till light brown. Cool the mixture and grind to a very smooth paste.Keep it aside. Heat oil in a pan temper it with cinnamon,mustard,curry leaves and kalpasi. Pour the ground paste saute till raw smell has disappeared then add the cleaned washed prawns saute for a minute. Pour enough water for the gravy and cook till its done. Switch off the stove garnish with chopped coriander and curry leaves. Best served with rice,Idli,dosa,appam or idiappam. Take a bowl add the above mentioned ingredients except oil. 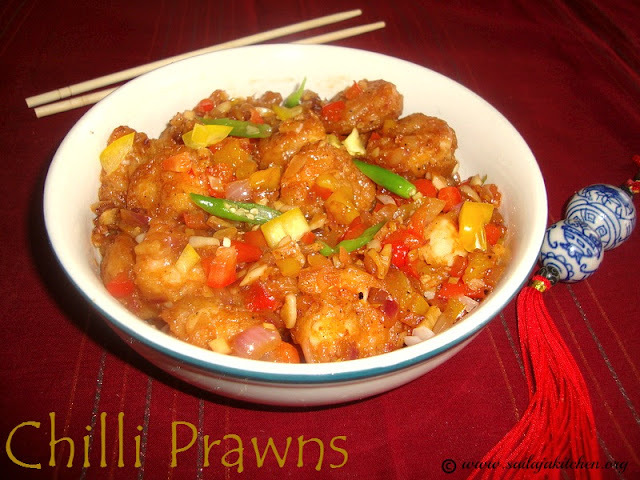 Sprinkle some water and make a thick batter, make sure all the prawns are well coated. Heat oil in a pan & deep fry till light golden brown. Keep it aside. Heat oil in a pan fry onion,garlic,ginger & green chillies in high flame till its light brown. Reduce the flame add the chopped capsicum saute for a minute. Now add all the sauces,salt & pepper powder,saute for a minute. Add the fried prawns quickly toss them well. Add onion ,curry leaves & garlic fry till light brown. Add the tomato and fry till its mashed well,now add the vegetable & shrimp give a quick mix. Add the dry masala powder & saute for 1 or 2 minutes. Sprinkle some water cover & cook till raw smell has disappeared & its dry. Switch off the flame garnish with chopped coriander leaves & curry leaves. Serve it with hot rice as a side dish. Heat oil in a pan add the shrimp, in high flame deep fry till its light pink. Reduce the flame add salt & turmeric powder, fry again. Fry till all the water has evaporated & prawns are golden brown. Switch off the flame & remove the prawns from the oil and keep it aside. Use the remaining oil for tempering. Heat the remaining oil of the fried shrimp. Temper it with above ingredients. Fry till garlic are light brown & switch off the flame. Heat oil in a pan add the ginger & garlic paste,fry till raw smell disappears. Add little turmeric powder and fry till its light brown. Switch off the flame add remaining spice powders,tempering & the fried prawns. Mix well to make sure everything is well combined. Cool completely & add the lemon juice. Mix and store it in a glass jar in fridge. Cook the idiyappam according to the instruction,keep aside. Grind coconut,ginger/garlic paste ,somph &tomato to a smooth paste. Heat a kadai pour oil add the spices,then add onion,3 green chillies,shrimp,salt,turmeric powder & ground masala. Fry this till raw smell disappears & the gravy is thick. Do not add any extra water while cooking the gravy. Heat oil in another pan add remaining slit green chillies,little sliced onion,bay leaf & mint fry well till its light brown. Slower the flame & add the cooked idiyappam & fry for a minute. 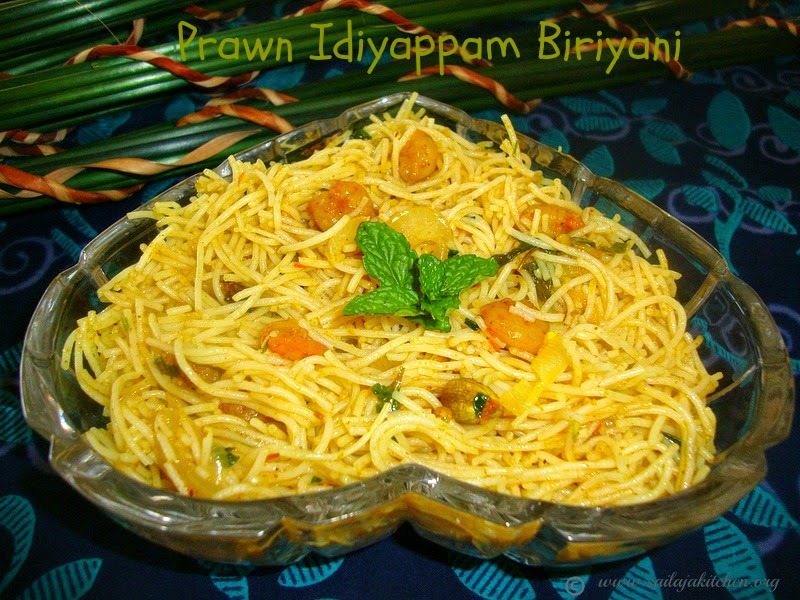 Slowly add the prawn gravy,mix till the Idiyappam is well coated with the gravy. Lastly add the lemon juice give a quick stir & switch off the stove. Garnish with chopped mint & coriander leaves. 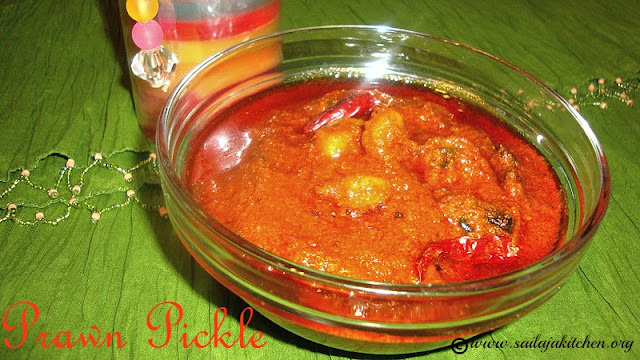 Serve this hot with raita..
Heat oil in a pan fry onion & garlic till light brown in colour. Add the marinated shrimp & in medium flame fry it till dry & cooked. Garnish with spring onions if you like & serve it as a starter or with fried rice. 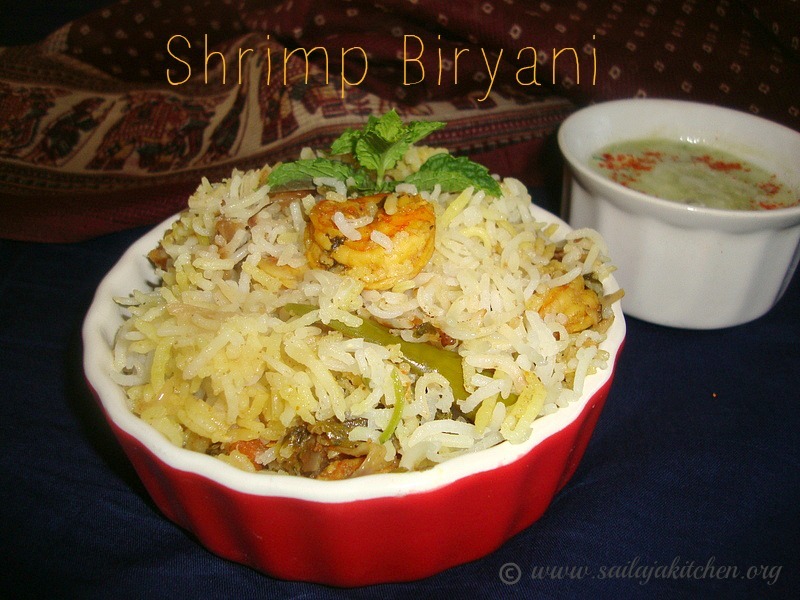 Marinate the shrimp with the masala for 2 hours.Before frying add the besan & rice flour,coat it well.Shallow fry them till crisp on both sides & cooked.Serve it with any dip you like. Heat oil in a pan temper it.Once onion is slight golden brown add the shrimp with the marinate.In medium low flame fry it for 10minutes, till dry & cooked.Garnish it with coriander leaves & serve. 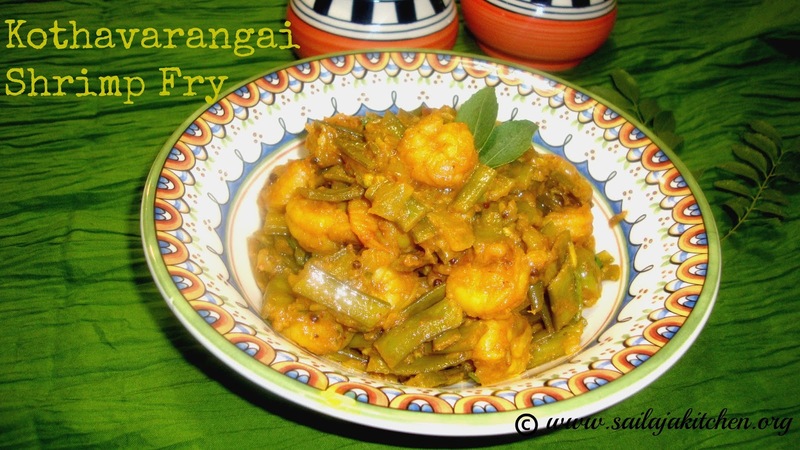 Heat oil in a pan temper it.Fry onion & curry leaves till light brown.Add the shrimp,ground masala,salt,turmeric powder,tamarind water & coconut milk.Cook till done & gravy is thick.Switch off & garnish it with curry leaves.Serve it with hot rice. Heat oil in a pan temper it.Fry onion & curry leaves till light brown.Add dry ingredients tamarind paste,tomato & shrimp.Cover & cook till masala is dry & shrimp is cooked.Garnish it with coriander leaves & serve it as a side dish. Heat oil in a pan temper it.Fry onion till light brown in colour,now add tomato & the ground masala.Fry it till oil separates the sides of the pan.Add shrimp & pour little water & cook it till cooked & dry.Garnish it with curry leaves & serve it as a side dish. Heat oil in a pan temper it.Fry onion,garlic,tomato & curry leaves till light brown colour.Add all the dry ingredients fry till raw smell goes.Add shrimp,methi leaves & tamarind paste diluted in water.Cook it till its done & thick .Serve it with hot rice. 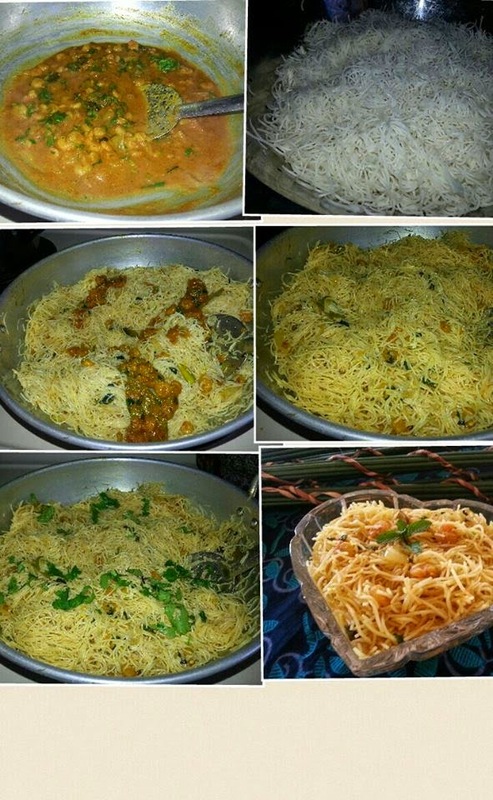 Mix all above ingredients together(do not add any water).Take a small ball flatten it dust it with bread crumbs & deep fry it in medium flame till golden brown.Serve it with ketchup. Heat oil in a pan add the onion,tomato,curry leaves & garlic.Fry it till light brown.Add shrimp & other ingredients.Fry it well till its brown in colour & cooked(in medium high flame).Garnish it with curry leaves & lime juice . Heat oil fry the crushed ingredients till raw smell goes away.Add the shrimp & tomato,fry it till its cooked & brown in colour.Fry it till dry.Garnish it with curry leaves. Heat oil in a pan temper it with whole spices.Add the onion fry till light brown.Add tomato,ginger & garlic paste.Fry till tomatoes are mashed well.Now add all dry powders,shrimp & peas.Pour very little water ,cover & cook it till done.Garnish it with coriander leaves.